If you haven't discovered Spring Lake and it's islands for watching birds, don't miss them. From Wisconsin State Highway 35 (the Great River Road) turn towards the river on Highway II. You will travel south along the Mississippi River and Buffalo City to Spring Lake. Roll down your windows and enjoy the cacophony of birdlife. 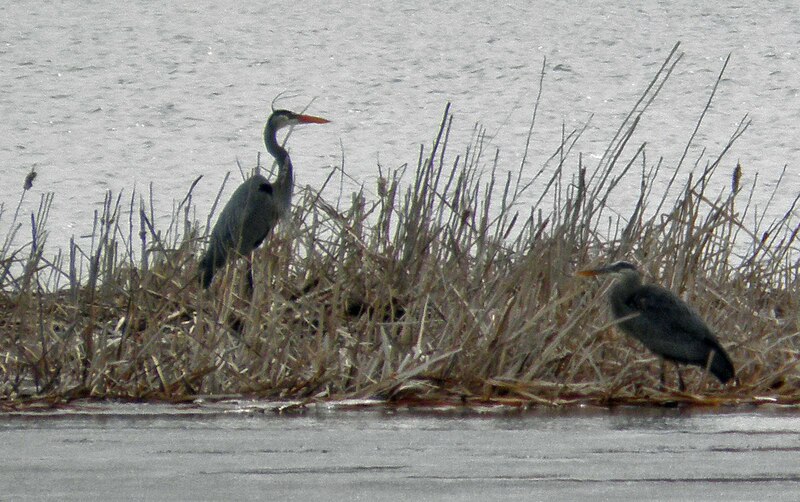 The familiar Great Blue Heron is the largest heron in North America. It's a large bird, with a slate-gray body, chestnut and black accents, and very long legs and neck. In flight, it looks enormous, with a six-foot wingspan. They are timid so be quiet and try not to be seen if you are taking pictures.